So many popular tropical cocktails contain rum, but we’re not always willing to abandon the smooth, mellow taste of vodka. Now you can sip on a Bahamian favorite with all the flavors you love using our delicious vodka mojito recipe! We freshened up this island favorite with coconut-flavored syrup alongside traditional ingredients like fresh mint and lime. In the test kitchen, we experimented with alternative sources of coconut flavor—ingredients like coconut water and coconut milk—none of which turned out like we had hoped. On the contrary, coconut syrup is a handy and inexpensive ingredient to keep in the kitchen. We used lemon-lime soda to complete our vodka mojito recipe, but if you want the ‘skinny’ version, you can always substitute the soda with sparkling water instead! This drink will still be plenty sweet and refreshing with the coconut syrup, fresh mint and lime. Combine vodka, lemon-lime soda, coconut syrup and lime juice in a small pitcher then give it a good stir. 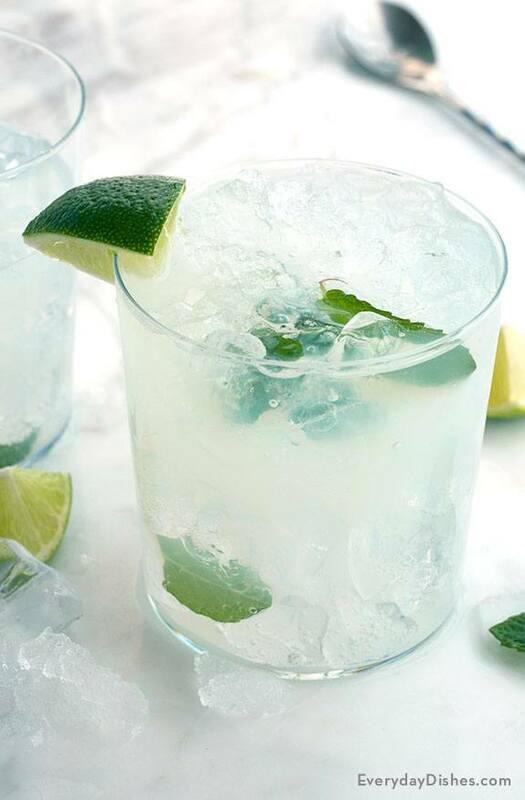 Pour into two glasses filled with ice, then garnish with a fresh lime wedge, if desired. If they’re in season, Key limes have the most extravagant flavor and will make this vodka mojito recipe extra tasty!